Man...We’re going to need an entire week just to get up to speed. I’ve rarely seen such an avalanche of releases back to back—new versions, new apps, firmware updates, the works. But before we take a look at all of it, I need to mention one little thing: KAGE is five years old. Hard to believe this project began in 2012 but here we are. We’ve seen ups and downs, lived through internal changes but what an adventure it’s been so far. I’m incredibly proud of every moment with current and past photographers. Our new issue is out today and I invite you to come hang out for a bit. There’s a new version of Capture One every year. And every year the company raises the bar—with actually useful features. By that I mean stuff most of us will use on a daily basis. With recent releases, the contrast in philosophy between Lightroom and C1 has never been clearer: on one hand we have little more than a standstill, a trickle of improvements combined with, at best, a deeply confused message (don’t get me started again). On the other, an update that kicks serious $ss. 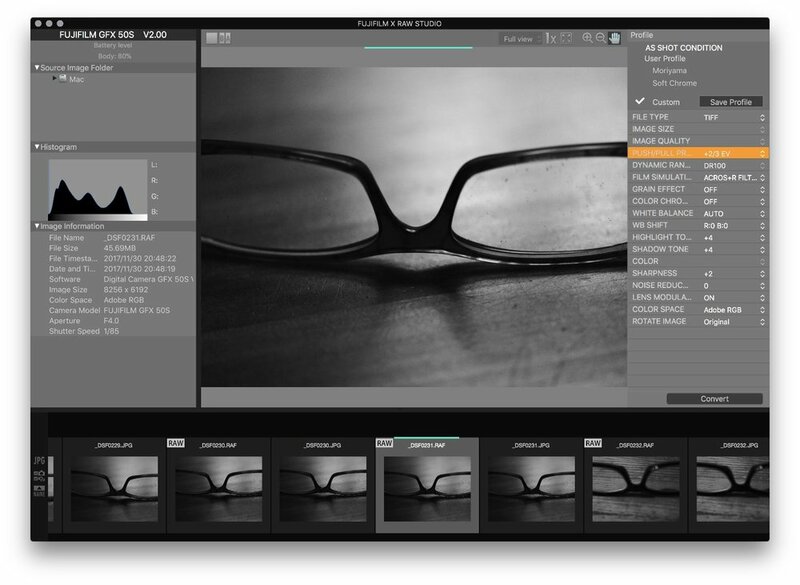 I’ve gone all in with Capture One and I’m not turning back—not to Lightroom anyway. But the app’s speed was never it’s forte and it was one of those things I’d simply come to accept. Version 9 had promised improvements on this front, version 10 had renewed the claim…neither ever made much of a difference on my end. Capture One 11 however, changes everything. Browsing, editing, previewing and applying styles, switching views and workspaces, all operations are monumentally faster. Enough that it makes my iMac suddenly feel like a new machine. In Adobe land that would’ve been the big achievement—here it’s essentially a by-product of the upgrade. There are tons of big and small improvements (a new colour engine for one), but the tent pole feature IMHO is an overhaul of local adjustments—which are now called layers. All editing tools can now be applied to layers, adding levels, colour balance and all the modes of the clarity and structure sliders. 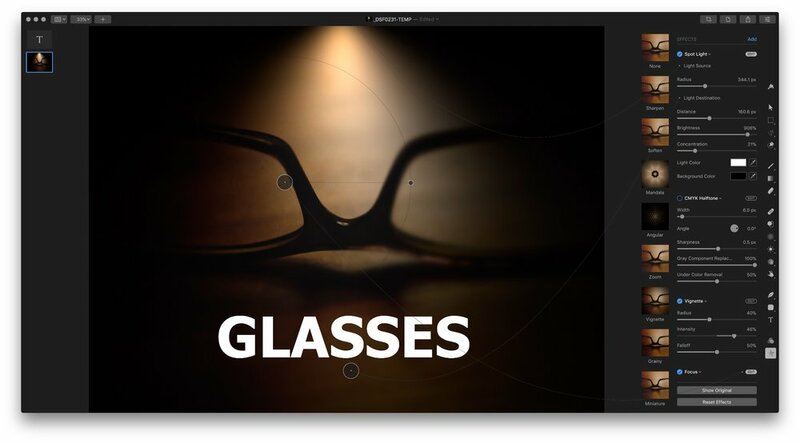 Not only that: styles can be applied to a layer AND all layers now include an opacity slider. Think about that for a second; yup, it’s huge. It means an entire set of adjustments can be throttled up or down in seconds. I definitely need to write a more in-depth look at this software. If you’re already using Capture One check out the demo. I think it’s killer. I moved away from Photoshop a few years ago—basically before I signed up for the CC photography plan. And when I did I chose Pixelmator as my replacement. Honestly, although it was much more powerful, moving back to Photoshop after that stint (had to justify the monthly expense) was painful. Not that the app couldn’t do the job—it obviously could—but the UI made me feel like I was going back 5 or 6 years in time. The new Pixelmator Pro makes Photoshop look like Windows 98. I wrote about this not so long ago but it still impresses me: what all these new, small companies have in common is a deep understanding of the API’s Apple has built into MacOS. They’re leveraging Metal 2 and machine learning and Coreeverything in ways that allow them to focus not only on features, but also on re-imagining how we interact with software. This is profoundly changing the landscape and the tools we now have at our disposal. Little guys can now hang with big guys. Take something like Adobe’s highly touted repair tools for instance (magic a few short years ago): initial repair tests with Pixelmator Pro were not only on par, in most cases they did a better job of it than Photoshop. That’s a serious leveraging of the playing field. Of course Photoshop is still a beast: if you’re working in CMYK or in need of any of its highly targeted tools, chances are this won’t work as a replacement. But in my case it does. I’m not 100% sold on all the UI decisions in Pixelmator Pro but I have little doubt they’ve laid a foundation that holds a heck of a lot of promise. These had been announced already so no surprise here. For most cameras we’re looking at compatibility with the new 80mm lens (update released on Nov 21). The Nov 30 updates feature support for third-party flashes (think Profoto and Elinchrom triggers), as well as the new Fujifilm X RAW Studio app. They also add functionalities on the X-T2 (new AF tracking algorithms) and the X-T20 (touch panel operation). If you have a GFX 50S the V2.00 also fixes an exposure compensation bug (it’s not listed but I can attest that the bug is gone). A similar X-Pro2 update is scheduled for mid-December. All of these are (or will be) available here. Which brings us to the brand new baby I just mentioned: Fujifilm X Raw Studio. This is an interesting and quite novel piece of software—I’m not aware of any other camera manufacturer doing anything similar. It’s basically a desktop version of Fujifilm’s raw conversion function found in both X-series and GFX cameras. For those who’ve never used it: this allows a raw file to be re-baked in-camera by using custom settings tools and film simulations. On the X-series it results in a new JPEG file; on the GFX there’s a choice of either JPEG or TIFF. The big deal here is that the app can do batch conversions (a much faster process) AND it uses the camera’s processor to do its thing: a camera needs to be tethered via USB in order for the software to work. Strange? Definitely. Quirky interface? Totally. But…I’ve fiddle with the app very briefly and I’ve already identified an important aspect to it: for anyone at all interested in creating in-camera custom settings, ladies and gents this is our new playground. I really wasn’t expecting it, but this is a great tool to understand how the Fuji processor works, how it affects the images we shoot. When using X Raw Studio we’re seeing the camera work in real time—we’re seeing the curves being applied, the effects of one simulation next to another, all of it. You can even compare Adobe RGB to SRGB in various scenarios, or see the effects of Lens Modulation, Colour Chrome Effect (on the GFX 50S) etc. So while I doubt I’ll use this to convert images, what I intend to do is input all my custom settings into the app and experiment with various tweaks to see how it all reacts. As far as I’m concerned this is like a free course in X-processing.